No maintenance. No worries. And time to enjoy. A perfect setting. The staff at Lenbrook is remarkable in how they go out of their way to be helpful, caring, responsive and kind. Residents are always impressively commenting about how the staff seems to know everyone by name. Many communities may have similar services, but Lenbrook’s personalized, attentive approach to delivering services is unmatched. The amenities are superior, as well. There are one million square feet of total space on the campus, including social areas and such niceties as a spa-like pool, a fitness center, three restaurants, club rooms, classrooms and more. But there are other things you might not expect that make life at Lenbrook comfortable, convenient, exciting and truly one-of-a-kind. 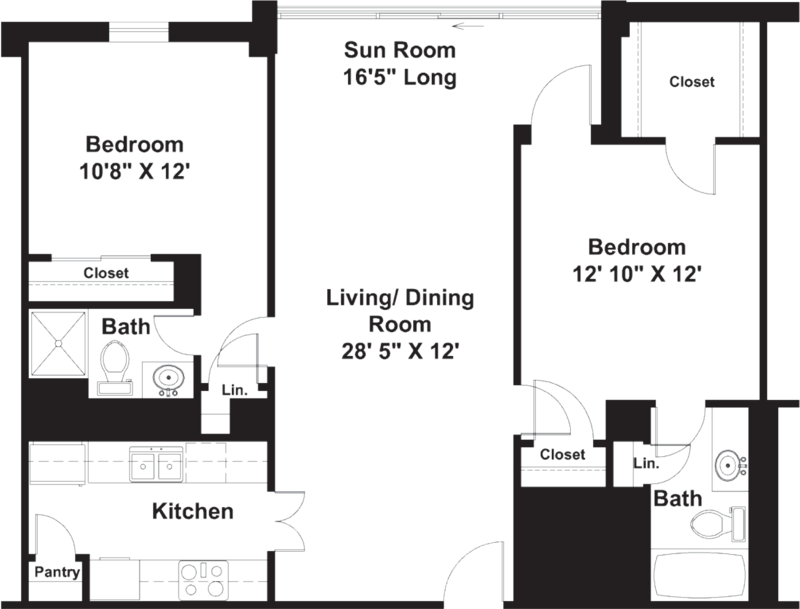 See list of additional amenities included with apartment homes. See list of additional services included in apartment homes.